Shaping the dinner rolls was always my kitchen task as a kids. My mom would give me the bread dough and tell me to go at it. But honestly, I never got beyond knots and round rolls. Now, there is nothing wrong with those shapes, but sometimes you want to mix it up a little for the bread basket. So, here are some of my favorite shapes to make, along with some ideas on toppings. 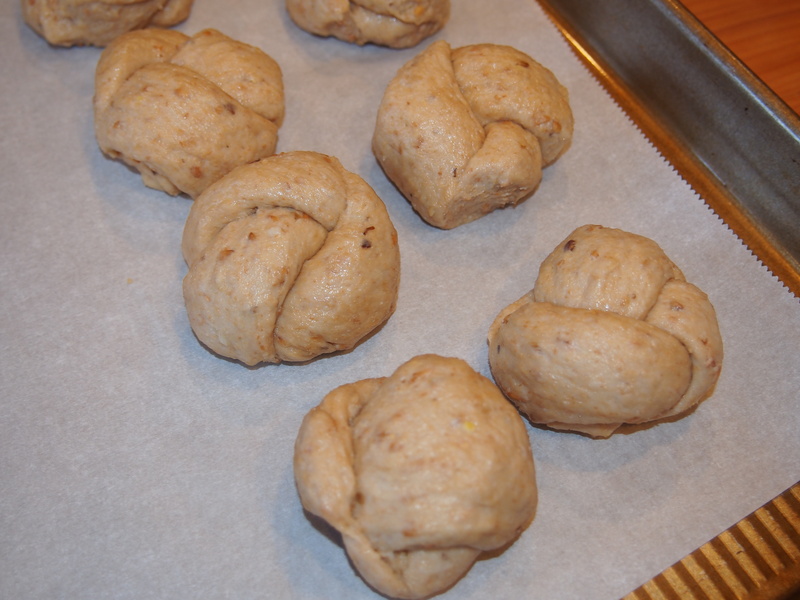 Once you have the rolls made, you can bake right away or you can do what I do – freeze them. I shape them onto a baking sheet lined with parchment paper. As soon as I have the rolls shaped, I pop them into the freezer for 30-60 minutes until they are frozen solid. Then I put them into a freezer bag and keep frozen until I need them. 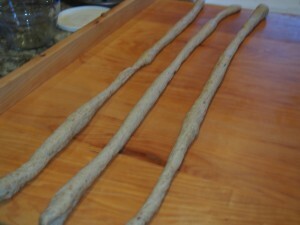 A couple of hours before baking, pull out the number of rolls you want and let rest on a parchment lined baking sheet. Preheat the oven to 350 and bake for 15-20 minutes until they are golden brown. You can do this with one to 100 rolls at a time and it’s a great way to enjoy a little warm bread with dinner without all of the work. And one more tip before we get started, instead of making a batch of dough just for rolls, you can use any extra dough from bread baking and turn it into rolls. Freeze them and soon enough you’ll have enough for the family dinner. This is my favorite shape to do. 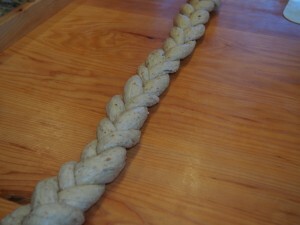 Just take your piece of dough, roll it into a long snake and start knotting the dough. I like to run the ends through the center a couple times – I like the extra little pull apart bits to the roll. Then tuck the ends under. The only downside to this shape, is it takes some time. 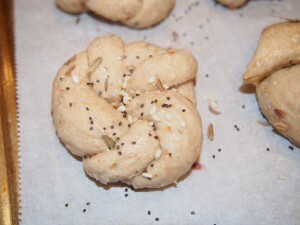 If you are in a hurry, see the braided roll below. Once your rolls are shaped, you can oil the tops and add any toppings you like. My favorite topping mix is equal parts salt, poppy seed, caraway seed, garlic powder, and onion granules. This is a quick and easy way to get rolls shaped. Take three equal size pieces of dough and roll them into long snakes. 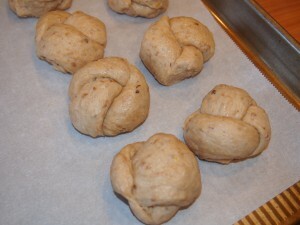 Braid the dough and then cut pieces off to form rolls. You can try to shape it gently into a ball and tuck the ends under. You’ll end up with a mixture of different size pieces and some ends will end up sticking out. Sometimes its nice to have some variation in the rolls, but if you want everything looking the same, this might not be the roll for you. This is a classic shape that is really nice for a buttery roll. 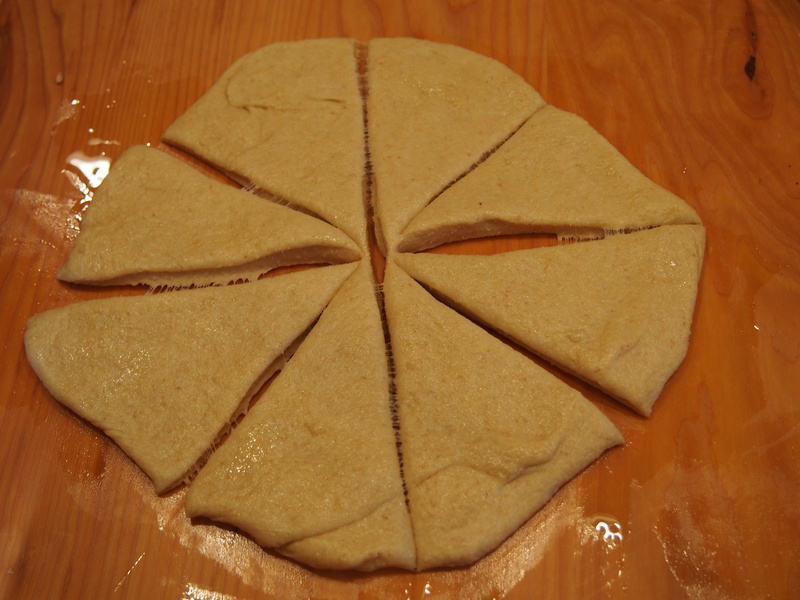 Take a piece of dough and roll into a flat circle. If you want, you can oil or butter the dough at this point and add shredded cheese (parmesan or asiago are nice), garlic, or any other seeds or seasonings you like. 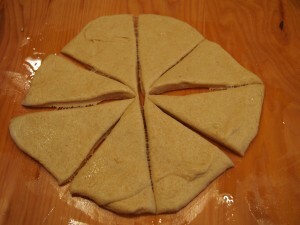 Cut the dough like a pie and roll up the pieces from the long end. 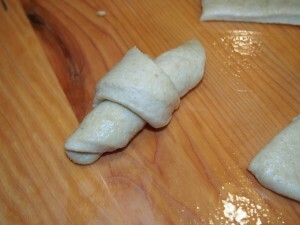 Tuck the edges around to form a little curve to the croissant and you are done. Those are some of my favorite shapes. I’ll keep adding more to this page as I get some more photos together. If you have a favorite shape that I’ve missed, please comment below!